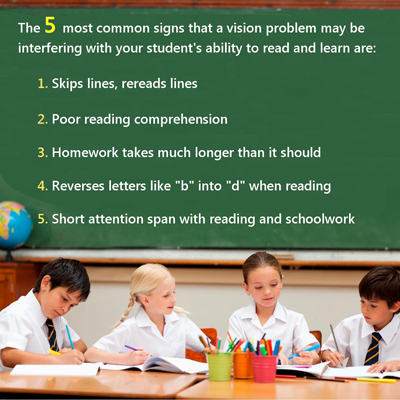 "It may be common sense that poor vision interferes with a child's ability to learn. But what is lesser known is that vision problems are the fourth most prevalent class of disability in the United States and one of the most prevalent conditions in childhood. This is an extremely important statistic considering that 80 percent of what children learn comes through their visual processing of information and that many children – nearly two in three according to the Centers for Disease Control and Prevention – enter school without ever having had a vision screening." 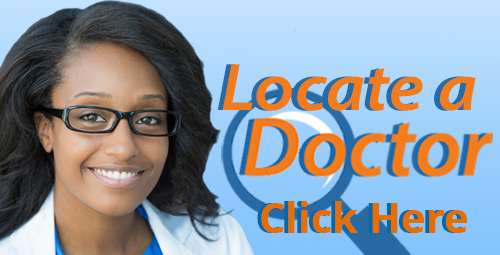 to check your or your child's symptoms! While learning occurs through a number of complex and interrelated processes, vision plays a key role. Many signs, symptoms, and behaviors associated with learning disabilities are similar to those caused by vision problems. This is why it is so important that a comprehensive vision examination be part of the interdisciplinary evaluation of all children who are failing to succeed in school. It is also helpful for you and your child's teacher(s) to review the following list of symptoms to gain a full understanding of possible conditions your child may be experiencing.